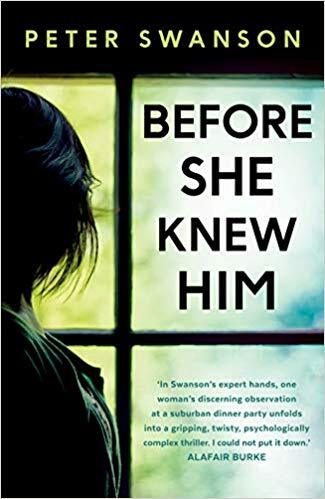 I have made one exception that worked though and this was for Don’t Believe It a crime fiction novel based upon a TV series like Making a Murderer or The Staircase or even the podcasts that comprised West Cork, all of which I’ve either watched or listed to. The format of the book is quite unlike anything else I’ve read and lent itself so well to audio that I have a suspicion that this actually may not have worked for me if I’d read rather than listened to it. The Girl of Sugar Beach is the name of the twelve part TV series that female producer Sydney Ryan has planned. It covers a crime committed some ten years previously on the Caribbean island of St Lucia. A young man, Julian was killed at a fancy hotel resort and his college-aged girlfriend, Grace Seabold, was put on trial for murder and imprisoned. She’s worked hard, alongside her loyal friend to get her case noticed so that someone will campaign seriously for her release. Inevitably as Sydney undertakes her research into the case she uncovers stuff that could put her own career in danger. Of course the main thing we all want to know not only did Grace do it or not? This book felt different to the many crime novels out in the market and of course it is tapping into a relatively new phenomenon where TV researchers have the money and time to probe areas that may yield answers due to the advances in forensics or the loosening of relationships which prevented the truth being told. The format also allows the author to play a little with the information because let’s face it, often these documentaries take a view, consciously or not. The book is segmented with the story Grace Seabold herself presents. This goes back to the past and right up to the present, her story of what happened the day Julian died and as time goes on how this intersects with the evidence presented in court. We also see behind the scenes information from the proposal of the TV show to when it goes on air, which is fascinating in its own right. We sit on meetings hearing the feedback from the last episode and the planning of the next. This is a great insight into the TV world, the jockeying for ratings and the money-men demanding value for their bucks. We follow Sydney Ryan as she jets backwards and forwards, interviewing not just Grace but her friends and family, seeking out experts and working against the clock to put an episode together for the public to view. We also meet a man in hospital who has lost his leg due to cancer. It takes a little while to work out why he is there but even before then I felt he added an important contrast to Sydney looking back and Grace worrying about the here and now with her frantic schedule, instead we have a man working out what his future will hold. A great book which as we got towards the end, I thought I had it all figured out; the author disagreed and surprised me with a different finale altogether! I can’t leave this review without praising the narrator, Nina Alvamar, for the engaging way she told the story. 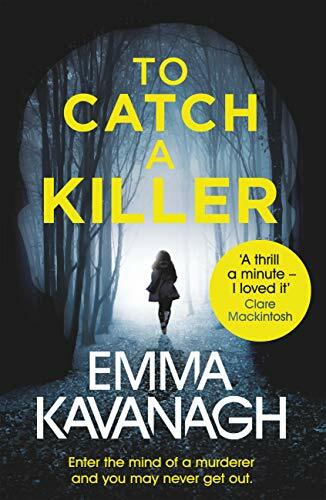 Having been an ardent follower of this author’s crime fiction in the Dublin Series, I was very excited indeed to hear she was publishing a stand-alone novel. 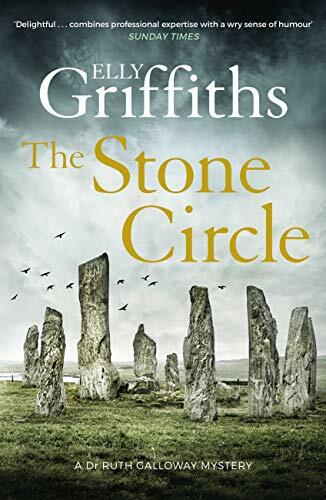 It would be so easy to say this is different to that series but since one of the things I’ve enjoyed most about this author’s books is the fact that each one had a unique feel which sets it apart from most crime fiction series. This book does however focus perhaps more on the psychological aspects of crime than her previous novels with a house also playing the part of centre stage. Happy go-lucky Toby has had an easy ride of life and when things have gone wrong he has used his charm or has been rescued by a hefty dose of luck. Life is good until he is attacked by burglars in his flat and is hospitalised. The result is that Toby is broken, both mentally and physically. With his elderly uncle Hugo being in failing health the family decide that as a temporary measure Toby should move in to keep him company. This works well returning Toby to his seemingly idyllic childhood in the Irish ancestral home and his very fond memories of time spent with his two cousins under the less than watchful eye of their batchelor uncle while their parents went off and made merry over the summers of their youth. Anyway there is Toby coming to terms with a brutal attack, the loss of ‘himself’ and at the same time staring death in the face as the cancer that has taken up residence in his uncle’s body makes the loss of this important man inevitable. Then a skull is found by his young niece and nephew in the hollow of the wych elm in the garden bringing a whole different kind of horror to their door. This is a long book and one that has an entirely different feel to many that the term psychological sums up. It is slow moving, our chief protagonist Toby is presented as something quite easy to grasp but equal to any mystery concerning bodies stashed in a tree Toby is left to unravel the mysteries of his own past. He is forced to examine his blindness to the injustice that seemingly ravaged around him without his registering it on any level. This is a modern tale in the sense that it concentrates on the social concerns that perhaps only the privileged in life can afford to focus on. I have to admit I did struggle a little because in many ways this book is an attack on the main protagonist with his easy privileged life, son to two professionals, never a worry in his life being knocked because his life wasn’t awful. It isn’t just that he is privileged in the way that he had enough food or warmth or clothes, but his privilege is further emphasised because he wasn’t a minority in terms of his gender or his sexuality. His crime it seems is that he didn’t recognise, as a child, that others got bullied for such things. I have to admit the strident tone adopted around this strand of the story did at times cause me to question the reasoning behind it, thereby pulling me out of what is a complex and interesting story. This is a book that truly stands outside the norms of crime fiction because it is a book about people and society and the beliefs we tell ourselves and each other. The visible and the invisible both are uncovered by Toby our narrator through his own particular journey in search of the truth. 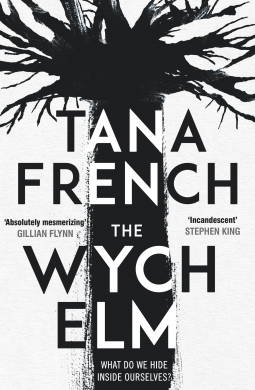 I’d like to say a belated thank you to the publishers Penguin Books UK who allowed me to read a copy of The Wych Elm ahead of publication of this edition of 21 February 2019, although it is possible to get a copy of the same book named The Witch Elm in the UK already. Confused? Yes, me too! I like reading non-fiction books especially about true crime, even better if they are back in the past; I think this is because it feel less like I am trying to gain entertainment from someone’s tragedy, and if it is new to me too, well that is the icing on the cake. The problem with some non-fiction true crime is that you don’t get a real feel for some of the characters, often the victim who is often dead before we meet them and unless they’ve been murdered for their own dastardly acts they can appear as nameless victims. It is for this reason that my preference for true crime is that which is presented as fiction using the crime itself as inspiration. 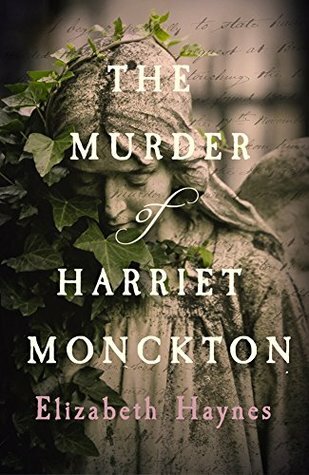 This is what the incredibly talented Elizabeth Haynes has done with the story of The Murder of Harriet Monckton. Harriet was living in Bromley Kent, she was a single woman of 23 years old; a school teacher and observed to be a devout Christian attending the local Chapel regularly. It turns out that Harriet was also around six months pregnant when she died from ingesting Prussic acid on 7 November 1843 and her body was found in the privy behind the chapel the following day. A sad end and one that because the vessel containing the poison could not be found, the only conclusion was that this had to be a murder. But who would want Harriet dead? Elizabeth Haynes tells us at the end of this magnificent book that she has used the two inquests held as well as newspapers from the time to recreate the key characters in the book. She has done magnificently well. Every single person we come across works as an individual, and as a collective taking up their positions in their small town, they are at times terrifying in what they are willing to see, to acknowledge and to challenge. I cried for Harriet who had so much to offer but was sadly one of those women who was taken advantage of, and lost her life because of it that comes through whether or not you take the history that the author has created to be credible or not. Bringing the forgotten back to life is the real triumph when fictionalising a real crime. No one was ever tried for Harriet’s murder, in fact once the coroner had finally concluded the inquest some two years after her death any traces of her life seem to vanish alarmingly quickly. Elizabeth Haynes states at the end of the book that she couldn’t leave this young woman without telling her story – and I heard that story loud and clear. In the hands of this undoubtedly talented lady, we are presented back with a fully rounded woman, with hopes and fears, with errors of judgement made and plans for a better future made – the facts that are contained in the recording of her life are fed into a story that can be taken at face value and read as an example of a life lived, in 1843, in Bromley so minutely were the details recreated for our consumption. If you haven’t already guessed, I adored this book for the premise, the skill in recreating a life, the rich story that has been served up to the reader and the characters that leap off the page, The Murder of Harriet Monckton will most definitely be a book that will appear in the top ten published this year. The pull I have towards crime fiction isn’t necessarily because I like studying murders or reflecting on the darker side of human nature or even that I have a desire to be a detective, it is more because the range of human emotions is there on a page for me to read, reflect on while at the same time having a mystery to unravel. 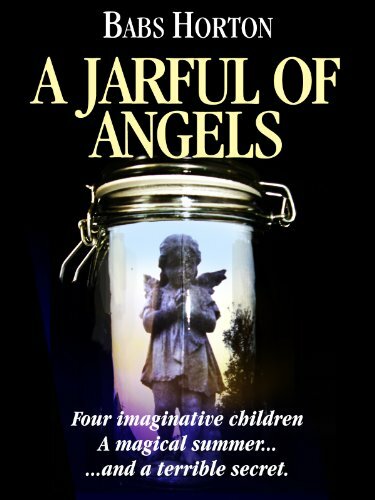 Angela Marsons uses her latest book to demonstrate, amongst other emotions, grief. The team lost someone dear to them at the end of book eight, Dying Truth and we see them all cope in their different ways with their loss. There is anger, bitterness, sadness and guilt but despite all these human emotions, there is a job to do and they roll up their sleeves and do just that. This in turn gives Fatal Promise a slightly reflective feel, but at this point in the series that is no bad thing at all. It all starts with a body… doesn’t it always? But this time the body is someone that is known to our intrepid Kim Stone – Doctor Gordon Cordell is found in the woods and so the team have no option but to revisit the case where he originally came to their attention. Although not the most likeable man on the planet, it is hard to see who would want him dead. Meanwhile as the team had been assisting other teams while Kim Stone was out of action and Stacey who is, I must say becoming a very satisfying character in her own right, is keen to keep hold of one she started, it’s a missing girl and her instincts are screaming that someone should be looking for her. These books get harder and harder to review. 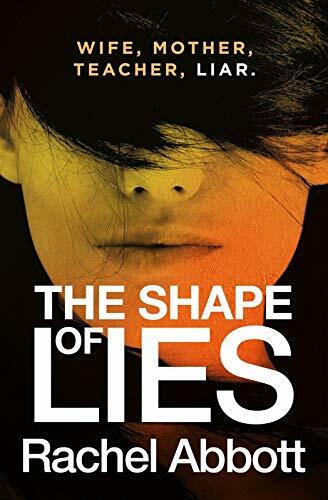 I love Kim Stone’s character, she’s strong and decisive, not keen on being told what to do but conforms enough for the reader to find her bullishness believable. Going back to my first paragraph, modern day crime fiction novelists have a challenging job. Not only do they have to come up with one plot that is credibly thought out and gives the readers enough clues to allow them to feel that they have a chance of solving the crime, they also have to keep the story relevant to the times we live in. No longer can we have maverick detectives spreading their misogyny or the like wherever they go, the readers know that the previous generation of detectives would spend their lives on courses or being put out to pasture, but nor of course do we want to read about someone who only cares about politics, we need our detectives to care about the victims, so that we do too. Angela Marsons always gets the plotting spot on, and this is no different, in fact having two plots running side by side not only gives Stacey her time in the spotlight but also adds a layer of realism to the juggling of priorities which we know must go on in policing. The author also has the pacing right, some of her books have more of an urgent feel about them than others, and this is perhaps more on the reflective side given what’s come before, but her books always hold my interest and I know I’m in for a real treat. If you haven’t started this fantastic series, I really urge you to do so, although for once I do recommend that you start at the beginning because they just keep getting better and for me there is no better place to contemplate the variety of experience, we have run down estates to post boarding schools, we have the big tragedies and the every day smaller disappointments and of course we have love and loss! 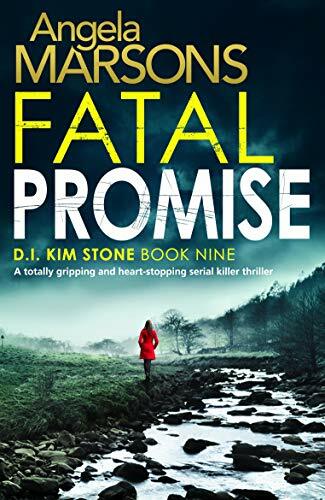 I’d like to say a huge thank you to the publishers Bookouture for allowing me to read a copy of Fatal Promise before it is published next week on 19 October 2018. This unbiased review is my thanks to them and Angela Marsons for another entertaining, and thought-provoking, episode in the Kim Stone series. 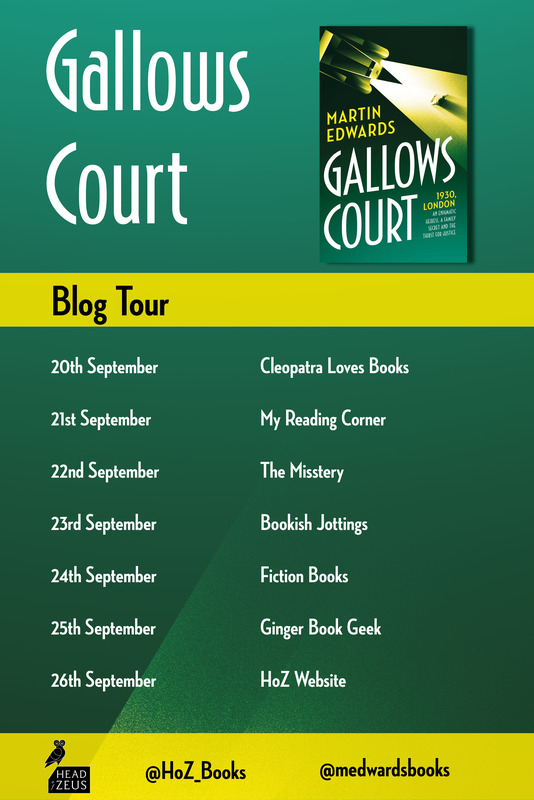 Martin Edwards is an expert in classic crime springing from the Golden Age so I was thrilled to be asked to be part of the blog tour to celebrate the publication of Gallows Court, a book written in the model of all the greats. His study of the sub-genre combine with the fact that I have experienced nothing but pure joy when reading his modern crime series set in the Lake District set my expectations high; they were met. The main setting is London in the smog but we are also drawn back to the past to an island off the coast of Ireland by way of some letters. Two more atmospheric places would be hard to find and Martin Edwards sets his pen about making sure we know it. On the Island of Gaunt a young girl, Juliet Bretano pens her thoughts on Rachel Severnake, the woman she believes murdered her father. Ooh I love a female killer, particularly from this age as you know that there has to be some ingenuity involved. But then in London the headless corpse of a woman is found and Scotland Yard are determined to find the killer. Meanwhile Jacob Flint has been trying to make his name at the crime desk for The Clarion and he has his eye on Rachel Severnake who recently solved a high profile case to Scotland Yard’s embarrassment. Rachel Severnake is the daughter of the man who was known as the ‘hanging judge’ but as he aged his behaviour became something of a concern and he took himself off to the island of Gaunt with his young daughter. But Rachel is in London, a London where no respectable lady would dream of walking in the particular darkness of the smog where visibility is so poor you don’t know who is lurking around the next corner. That’s all I am going to say about the plot itself. The writing as you might expect is brilliant. 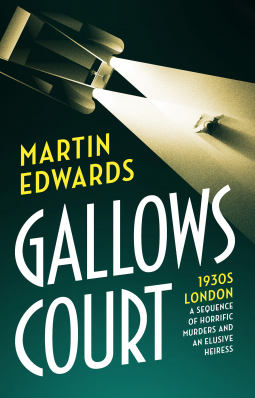 The plot is complex and depends on those false clues not least what part does Gallows Court play? The fantastic scene setting mentioned earlier has a big part to play, the author using both the dangerous darkness of London and the remoteness of Gaunt to their full advantage. The characters are for the most part wily and definitely not those you should put your trust in and also for the most part are of the higher reaches of society. So far so Golden Age but I felt that the bodies piled higher and the murders more ‘on stage’ with some more modern themes as motives than perhaps you’d expect to see from that time. It is a clever author indeed who can play such obvious flattery to a style and yet gently update it for the more modern taste in crime writing. This book did have the feel of a more modern day thriller with the tension perhaps higher than those solved by our favourite crime detectives from the age. Make no mistake the stakes are high for our characters and no-one is safe until the culprit is found! I absolutely modestly raise my cloche hat to the ingenuity of Gallows Court. I was totally immersed in trying to solve the puzzle and would like to say I was ‘on it,’ but I wasn’t really until fairly near the end. 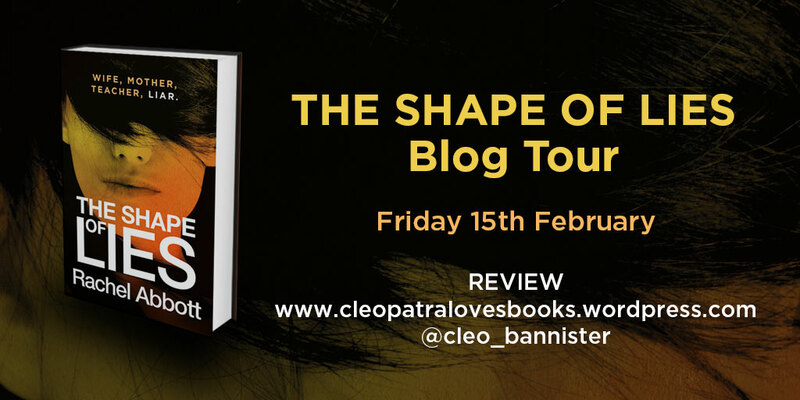 Don’t forget to check out the other stops on the Blog Tour and before anyone points out to me that I’ve posted this on the wrong day – let’s just say there was some confusion!